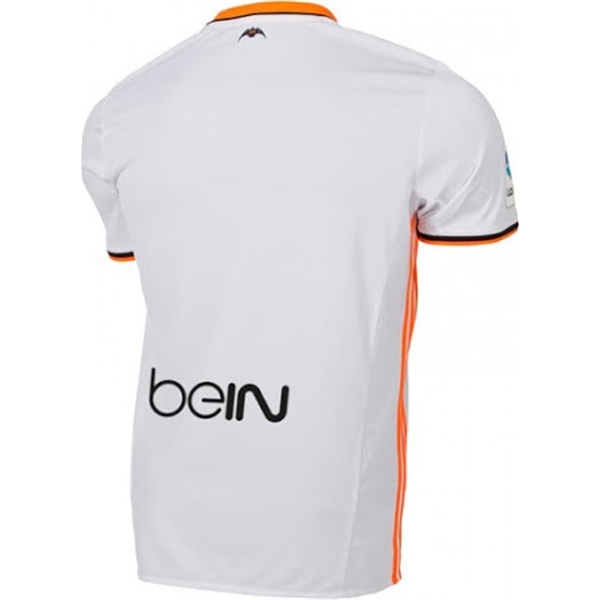 Valencia Club de Fútbol is a Spanish football club based in Valencia. They play in La Liga. Valencia have won six La Liga titles, seven Copa del Rey titles, two Inter-Cities Fairs Cups, one UEFA Cup, one UEFA Cup Winners' Cup and two UEFA Super Cups. With multiple La Liga and Copa del Rey titles, plus numerous international cups, Valencia has earned a place as one of the most popular clubs in Spain. The white home jersey adds a pop of color for 2016. 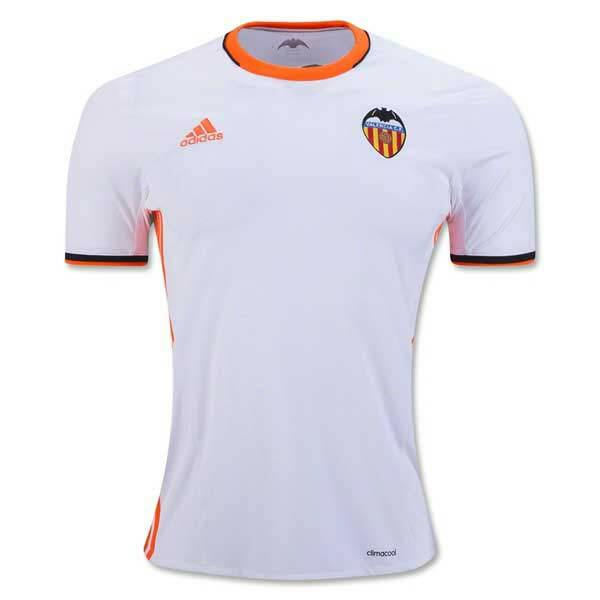 Taken from the club crest, "Solar Orange" is used on the collar, sleeves and adidas stripes. Also taken from the badge, the bat logo is on the back of the neck, with founding year 1919. Embroidered logos. adidas ClimaCool technology. 100% Polyester.